Think about the different ways that you recognize the emotions of others in your daily life. Do you focus on their facial expression? Their body language? Or their tone of voice? While some of us may do these things in our daily lives without thinking twice, for children with autism it is often difficult to communicate their emotions and recognize the emotions of others. 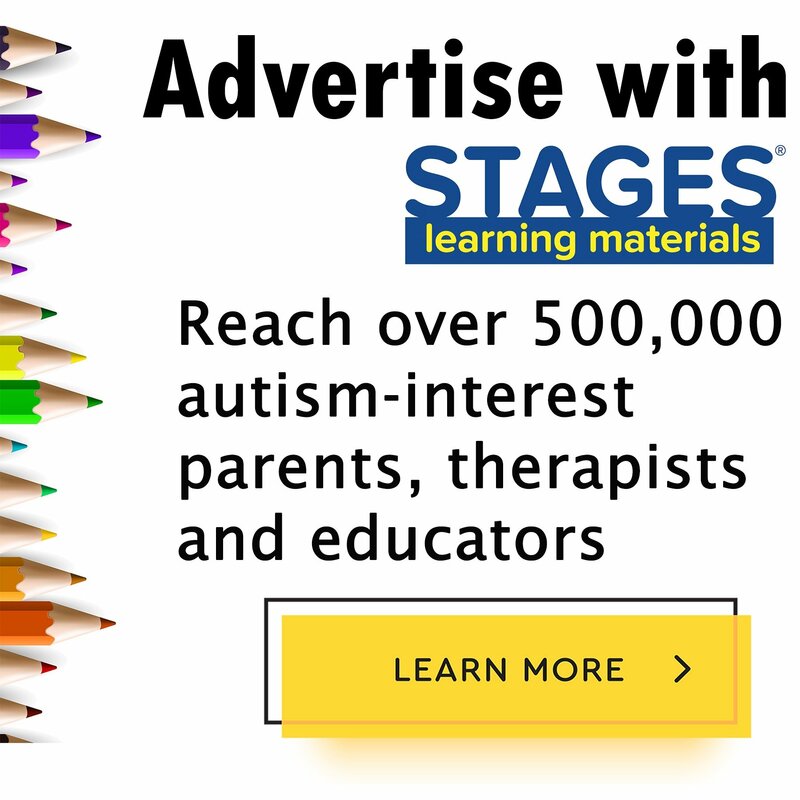 Parents and educators often find that their children or students with autism display inappropriate behaviors due to their difficulty recognizing and communicating their emotions. For example, children may have tantrums that seem easily triggered, they may become aggressive, or may become withdrawn. Although difficulty communicating and understanding emotions is not a universal challenge in those who have autism, it is very common. Therefore, parents and educators should become familiar with the different ways to help children communicate and recognize emotions. Since people with autism often have difficulty reading the emotions of others, it can be difficult for them to interact appropriately in social situations. Children with autism may experience a difficulty in recognizing facial expressions, the tone of voice of another person, or their body language. These characteristics can tell us a lot about the emotions of another person, and developing these skills can help children with autism recognize the feelings of others as well. Facial expressions. To help children with autism to recognize the facial expressions of others, it can be helpful to practice identifying them in a context that doesn’t have as much pressure as a real social situation. Identifying facial expressions in a context with less pressure allows children to build the knowledge and confidence to put these skills to use in daily life. A 2015 study of a teaching strategy for emotions showed that children with autism are able to differentiate between emotions, they just require more prompting to identify the appropriate label. In this study, they practiced identifying emotions in different situations through photos. For example, they would be asked to identify the correct emotion card to the correct situation card (such as a boy at a birthday party matched to a happy face) with varying levels of prompting. This study showed that children with autism can identify emotions after sufficient prompting and practice. To adapt a similar strategy, our Stages Learning Emotions Cards can be extremely helpful, because they can be used in a similar way to match situations to an emotion. These cards include a wide variety of facial expressions that can help children match the facial expression to the correct emotion, and in some cases discuss what is happening in the picture. 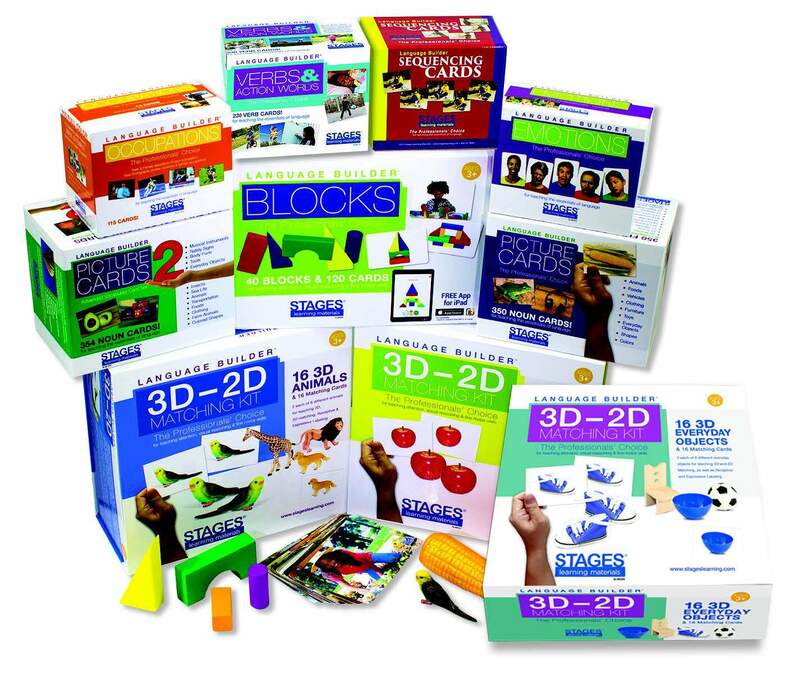 Half of the images are against a plain background, showing only the upper body and face, and clearly depicting a single emotion, so the children can begin to understand and recognize basic facial expression. The remaining cards show people in real situations and activities with natural settings and contexts. This invites discussion about the range of emotions, what may have caused them, and possible responses to these feelings. 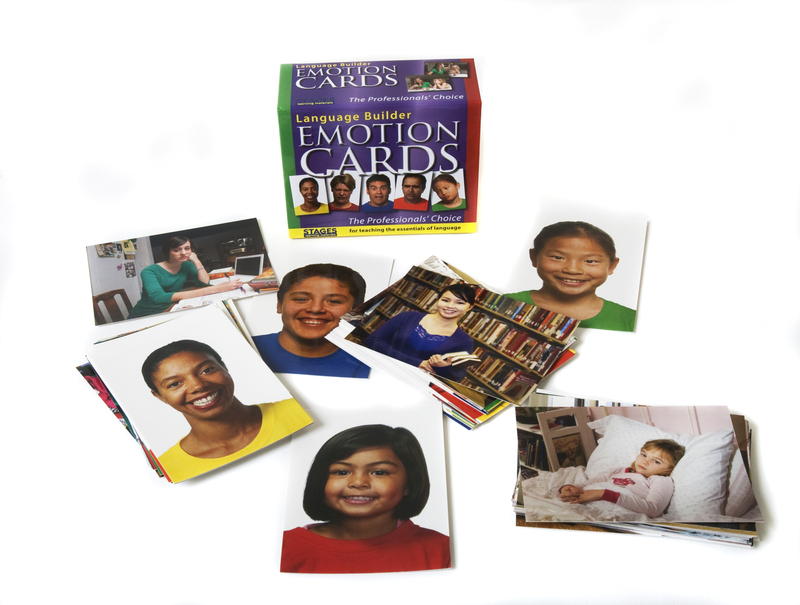 Practicing with the Emotions Cards can help children learn the different facial expressions people may have, the emotion behind those expressions, and match a situation to a correct emotion. 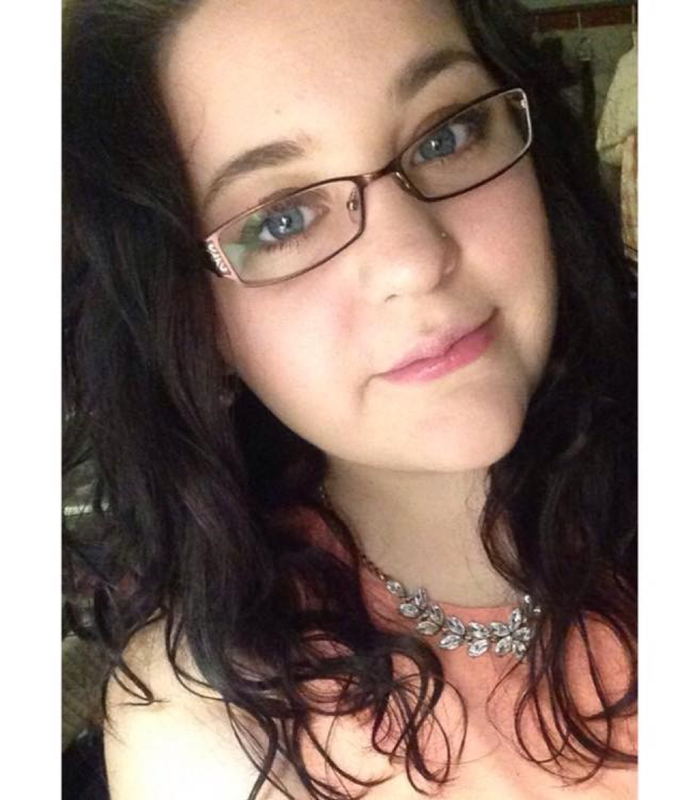 Eye contact and eye movements. People with autism often struggle with eye contact, which can in turn effect their ability to read facial expressions and communication through eye movements. Temple Grandin addresses this point in her article Social Problems: Understanding Emotions and Developing Talents, “I had no idea that people communicated feelings with their eyes. I also did not know that people get all kinds of little emotional signals which transmit feelings.” As a person with autism, Temple Grandin explains her difficulty in recognizing that people communicate emotions in a variety of ways. She then goes into detail about the ways that she tends to recognize the emotions of others during social interactions. Using her memory, she scans her mind for a social situation that was similar to the one she is currently in. She can then use her previous experiences to guide her through the current one. Older children with autism can adopt this same idea by thinking about a time when they interacted with someone who may have been angry, sad, nervous, or happy. Likewise, they can think about other situations when they felt sad, angry, nervous, or happy. They can use the ideas from previous situations and apply them to their current situation to identify their own feelings or the feelings of others. Tone of voice. Emotions can be displayed in more ways than just our facial expression and eye movements. Teaching children with autism the various ways that people display their emotions can be helpful by giving them multiple pathways to understanding the emotions of another person. There are various ways to familiarize children about how the tone of voice changes the meaning and emotions behind a sentence. One way to do this is to sit down with your child or student, and read aloud a book that they enjoy. Pick out a sentence or two within the book and read it using different tones of voice, and explain how the tone you are using changes the emotion behind the sentence. You can exclaim the sentence angrily, exclaim excitedly, form it as a question, say it nervously, or say it with a sad tone. Each time, ask the child to identify the emotion behind the sentence. Explain why, and emphasize that the same sentence can have a wide variety of meanings depending on the tone that is used. Another way to do this is to use a recording. Record yourself or others saying different sentences with different tones, and ask the child what emotion or feeling they thought was behind the sentence and why. Then, have the child practice using tones themselves! Ask them to say something in a sad voice, an excited voice, an angry voice, or a nervous voice. These exercises can help familiarize children with the different tones people use to communicate their feelings, and can help them become aware of their own tone of voice in conversation. Body language. Some children with autism excel at identifying body language because it doesn’t require eye contact, however this isn’t universal for all children with or without autism. One simple way to familiarize children with body language is to draw cartoons. To do this, sit down with the child and draw a variety of cartoons with different body language; confused while scratching their head, mad while stomping their feet, excited while jumping up and down, etc. Ask the child what emotion they think is being displayed. Then you can ask the child to draw their own cartoons of someone who is happy, mad, excited, nervous, or confused through their body language. Having them create their own cartoons can help them develop ownership of the topic and help them relate these ideas to real life situations. Communicating our feelings can be challenging for everyone, but especially so for children with autism. There are different ways that children with autism can communicate their feelings in a healthy way. All children need a way to express how they are feeling, so here are a couple of suggestions on how to help children communicate their emotions. Communicating feelings. For non-verbal children, emotions can become even more overwhelming if they do not have access to any means of communication. Assistive technology or sign language can be helpful for children to communicate their feelings if the child has access to them. Often times, assistive technology will contain ways to communicate feelings by pushing a button or pointing. Likewise, children who are fluent in sign language are often taught to express their emotions via sign. 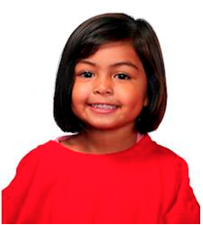 If these methods of communication are not available, non-verbal children may also benefit from an “Emotions Wall” that can include different facial expressions that the child recognizes as representing the emotion they are feeling. This can be helpful for children who are verbal as well! Check out our free Emotions Wall download to use in your home or classroom. Social stories. Social stories have so many great uses for a wide variety of children in and out of school, and they can help children identify and communicate their emotions. When sharing a social story with a child with autism, outline a situation that results in an emotion. For example, it could be as simple as a story of a mother telling a child to do their chores, and the child getting angry or sad. The social story should consist of a situation that the child can relate to, so if they don’t do chores at home, perhaps a different story should be used. After reading the story to the child, ask them what emotion the character is displaying and why they might feel that way. One way to emphasize how to regulate emotions is to show one story of a child getting angry and having an emotional outburst, and explaining that there are other ways to express our feelings. Then, show the same story with a different ending where the child sits down and communicates their feelings with the other person in a calm way. Emphasize that it is okay to have the emotions that are being displayed, but the child in the second story is communicating their emotions in a way that is beneficial to both parties. Many times, emotional outbursts are the result of becoming frustrated because children cannot communicate their feelings to others. The techniques provided above should help children to identify the emotions of others and communicate their own emotions. However, if the child still struggles to regulate their own emotions, there are other ways to prevent emotional outbursts. These are just a few suggestions of what may help children to regulate their emotions, but these should be individualized for the needs of each child. Practice in recognizing emotions. Of course, practicing how to recognize our own emotions can help us to regulate them. Recognizing that you are feeling angry, sad, or nervous can help you to find solutions to your emotions. For example, when I am feeling nervous, I like to draw or write. This is a healthy way to channel my emotions when I am able to recognize what I am feeling. This is often the case for children with autism as well. By using the techniques above to help identify the emotions of others and communicate their own emotions, we can help children identify things that may relax them and help them regulate the ways they are feeling. Every person likes something different to help them regulate their emotions, so it can be helpful for teachers and parents to guide children in recognizing what helps them. Mindfulness. Mindfulness is a great technique for regulating emotions and relaxing. Studies have shown that meditating makes you all around more relaxed and able to deal with complex situations that occur throughout the day. View our Mindfulness Article for some tips and tricks on how to use mindfulness in the classroom or at home with children. Conallen, K., Reed, P. (2015). A Teaching Procedure to Help Children with Autistic Spectrum Disorder to Label Emotions. Research in Autism Spectrum Disorders. Vol 23, 63-72. Grandin, T. (n.d). Social Problems: Understanding Emotions and Developing Talents. Indiana Resource Center for Autism.